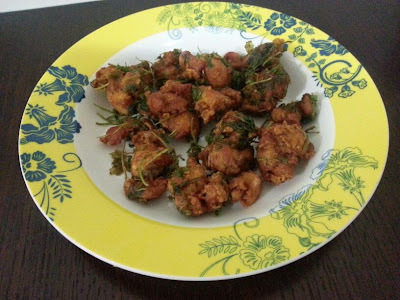 A crispy fried chicken and gram flour snack. 1. Wash and clean the chicken pieces well. Drain out all the water. 2. Add it to a mixing bowl. Add Ginger Garlic paste, pepper powder, red chilli powder, turmeric powder, salt and lemon juice. 3. 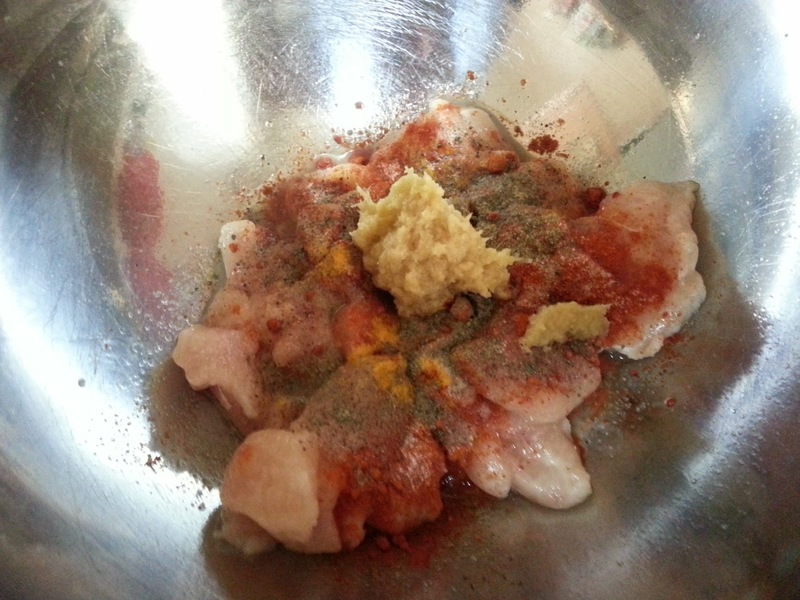 Mix well and keep it in the refrigerator for at least an hour. I kept it for about 5 hours. 4. At least 30 minutes before frying keep it outside the fridge to bring it to room temperature. 5. Add besan and rice flour and mix well. 6. Add the chopped coriander leaves and mix well. 7. Add water by teaspoons if required to bind the flour. 8. 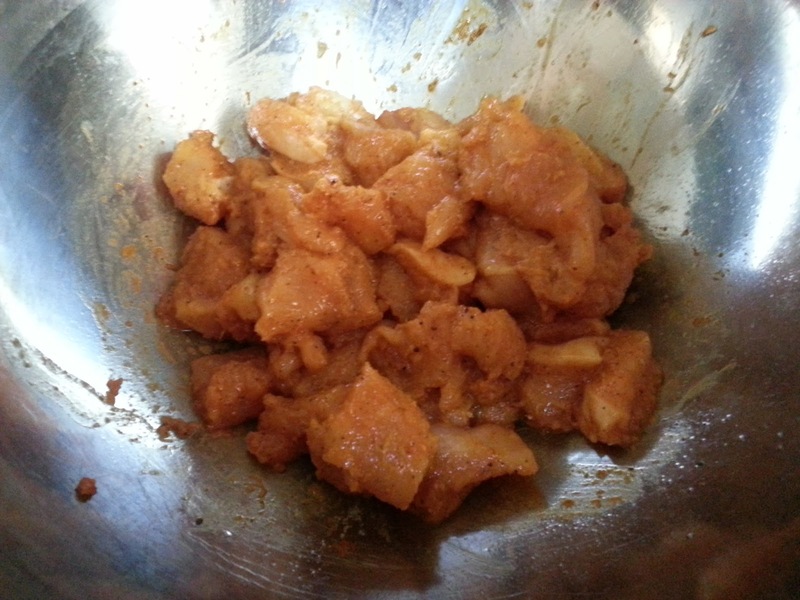 Heat oil in a kadai and deep fry the chicken pieces in batches making sure not to over crowd. 9. When done, drain on to a paper towel before serving. Enjoy chicken pakodas with tomato ketchup or mint chutney or as is.